Study after study shows that family dinner time is incredibly important – and our opinion is that family dinner tastes better when cooked on a reliable range. If it is time to upgrade your stove, renting one from AWHR allows you start cooking on a new range without the cost of purchasing and installing one yourself. Simply choose one of the stove rental options below and we will install your new range fast - often within 1 - 2 days. You pay a low monthly fee and we take care of all installation and repair costs. 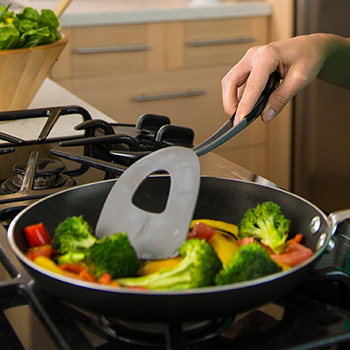 With AWHR, installing a new range is almost easier than choosing what to cook tonight. Cook top features two 8” 2,600 watt coil elements and two 6” 1,500 watt coil elements. 5.3 cu. Fit self cleaning oven with plenty of space for two trays of brownies, several side dishes or a roasted bird. Easy to clean ceramic glass cook top with one 9”/6” 2,500 watt element, one 9” 2,500 watt element and two 6” 1,200 watt elements. Oven control lockout feature locks controls when not in use. Get started now – apply online! Completing our online application is fast and easy! Just choose the products you wish to rent and enter your contact information. One of our customer service experts will contact you shortly to complete the process.